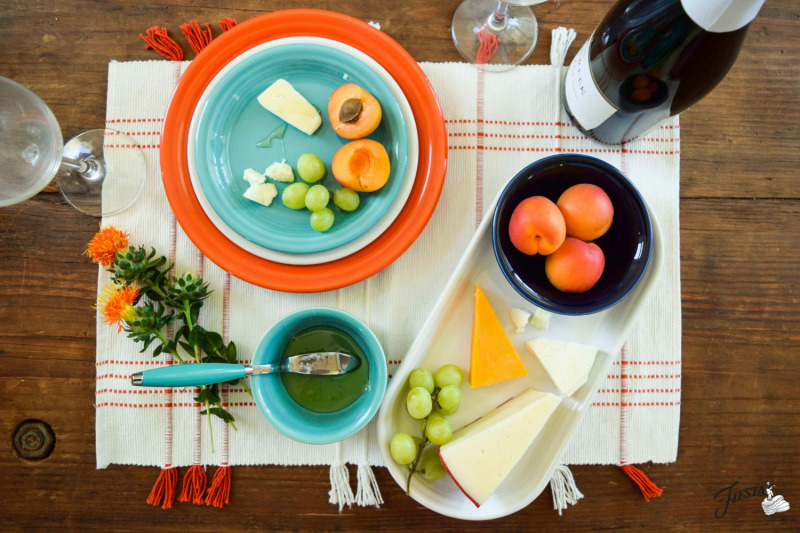 When the seasons change, all we can think about here at Fiesta Dinnerware is how we’re going to switch up our tablescapes. 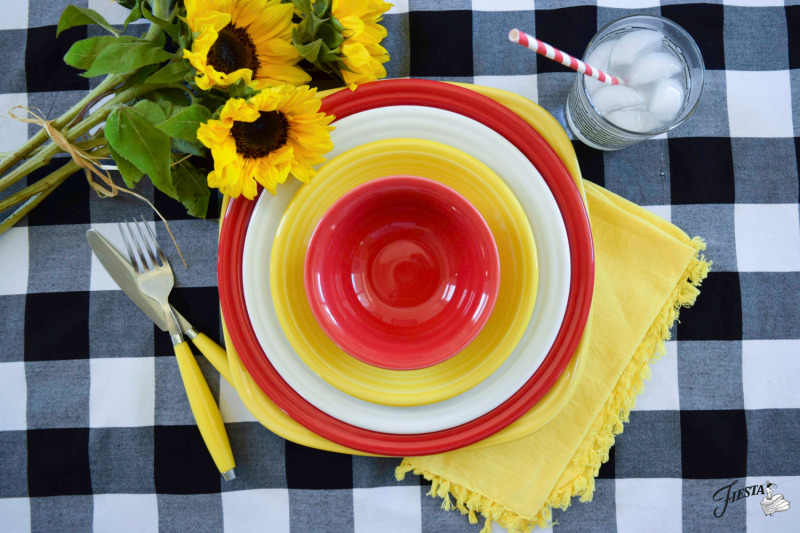 With 14 colors to choose from, there are so many different ways to style every kind of summer get-together. A classic black and white buffalo check is so versatile, we like to use it as an effortless backdrop for simple weeknight dinners. Pair it with colors like Scarlet, Daffodil and White for a vibrant pop that mimics all the sunny days you’ll be spending outside. Dress up the table with a bouquet of cheerful sunflowers to make everyone smile. For those hot nights when cooking just isn’t on the agenda, serve up wine, cheese and fruit and pop open some bubbly. We paired summery colors Turquoise, White, Poppy, and Cobalt for a look that’s slightly nautical. We pulled out grandma’s vintage tablecloth for a feminine floral tablescape perfect for tea or dessert on the patio. New color, Mulberry, alongside White, Lapis and Turquoise evoke the tranquility of summer. Add some peonies and lavender for a tablescape that smells as pretty as it looks. There’s nothing more American than good old Red, White and Blue. 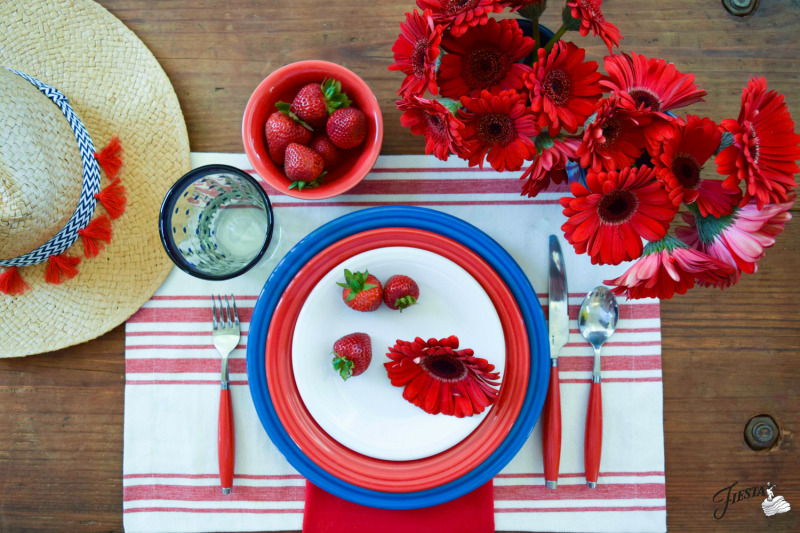 We combined Scarlet, White and Lapis for a table that’s quintessentially summer. 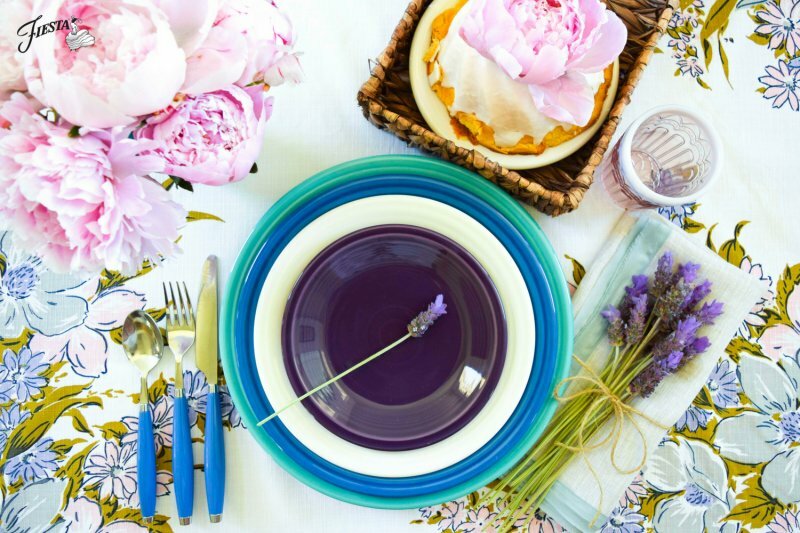 How do you like to dress up your table during the summer season? Post your pictures on social media. Tag us and use #FiestaSummer and we might share your photos with our followers.